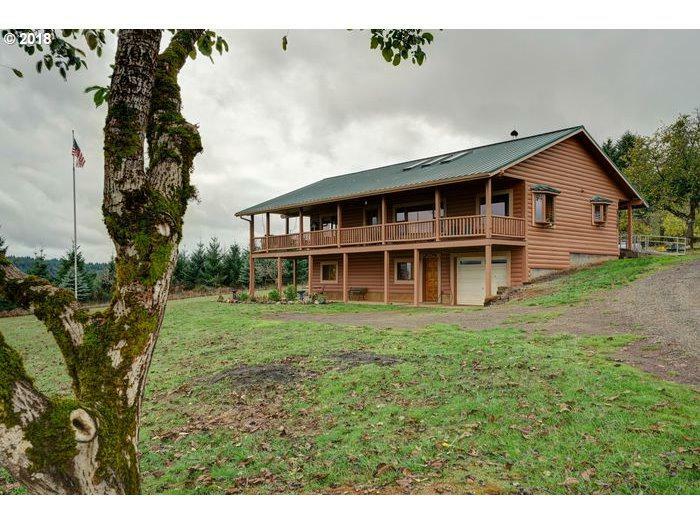 Surround yourself with breathtaking views in this tucked away log cabin style home. 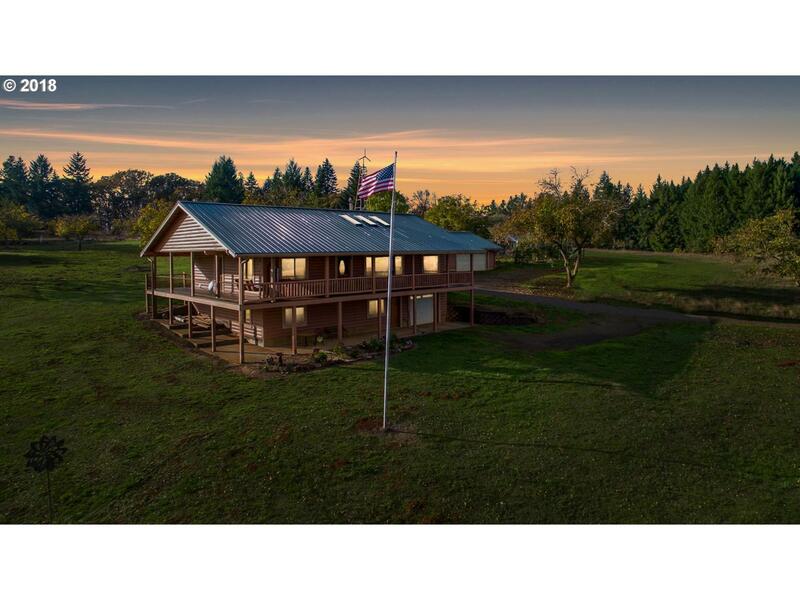 This beautiful home sits on 107 acres of land and is surrounded by fruit trees, a 1000sqft enclosed garden, harvest ready timber, and has plenty of room for both animals and farming. The spacious property includes a shop, a barn, and is powered by wind, solar and generator energy. Inside you will find a wood burning fireplace, plenty of natural light.